The 2012 documentary Somm was the first glimpse most people gained of the rigorous Master Sommelier exam. It’s a grueling written, oral, and tasting process that, when it’s passed, confers the rank of Master Sommelier. It’s so difficult that only 274 people have attained this rank since it was created in 1969. 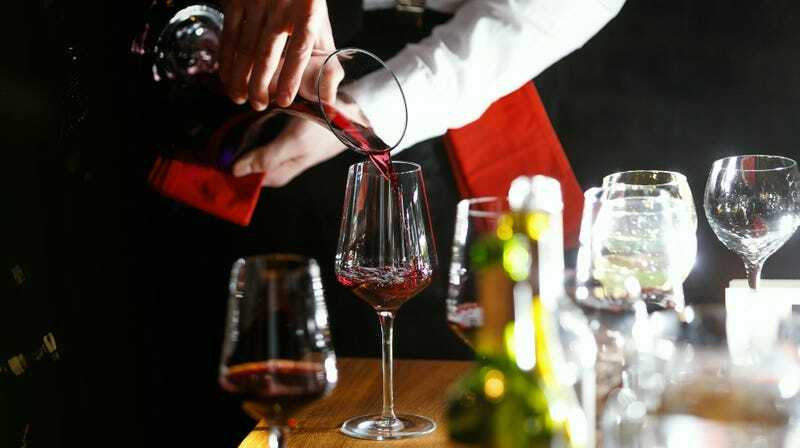 Then this week, the exam’s governing body, the Court Of Master Sommeliers, was hit with a cheating scandal that caused it to invalidate the results of the 24 individuals who passed this year’s exam. According to a letter from the Court to all Master Sommeliers, the Court’s board unanimously voted to invalidate the results of the tasting portion of this year’s exam “due to clear evidence that a Master breached the confidentiality with respect to the wines presented for tasting.” That means that all 24 candidates who passed, regardless of whether they cheated, will have their exams voided and their certifications stripped. Since the Court made the cheating scandal public earlier this week, speculation has run rampant about how exactly a person (presumed to be an exam proctor) enabled the cheating. And we haven’t gotten to the tasting portion of the test yet. Long story short: This exam is no cake walk. Though Singh wasn’t privy to the Board’s deliberations, she says its decisions to void all the exams was heartbreaking, but proper. In a second letter, the Court announced it would refund the cost of the exam for the individuals whose results were voided; then offer to cover their exam fees and travel costs to retake the exam either this year or next. Singh says that while the Court might seem “nebulous” or secretive to some on the outside, it’s actually been very transparent in disclosing not just the cheating scandal but how it plans to move forward. Still, that’s likely little consolation to the wine professionals who passed this exam after years, if not decades, of preparation. Singh herself studied for years and moved 2,000 miles away from her family to take a job that she thought would best prepare her for the Master Sommelier diploma. She says her heart goes out to the dozens of people who were told in early September that they’d passed, only to now have the rug pulled out from under them.